Outdoor Enhancements – Alpha Construction Ltd.
Today’s homeowners see their backyard as an extension of the home’s design and usable living area. Let us continue your desire for quality and beauty to include your property’s outdoor areas. 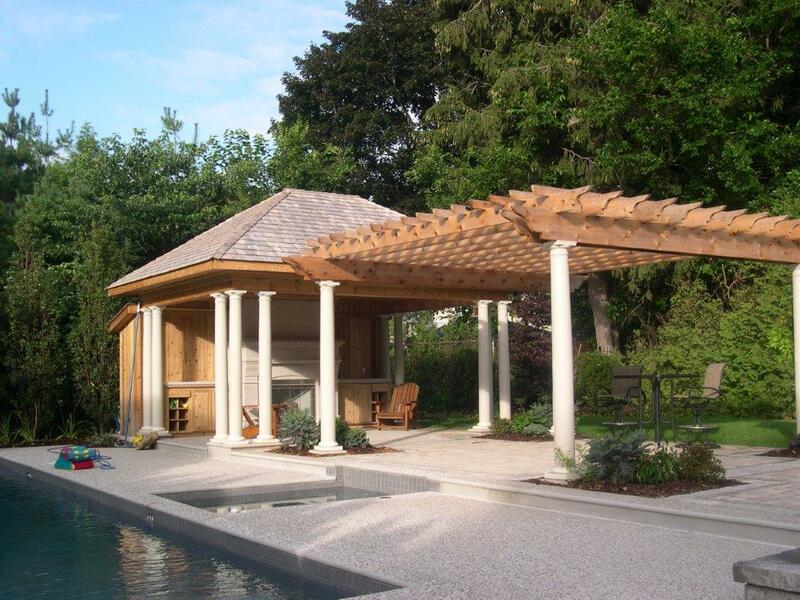 Our expertise includes design and construction of wood and composite fences and decks, gazebos, pergolas and arbours, overhead and privacy structures as well as stunning design elements. Complement walkways, pool decks, patios and home features with dramatic accents carefully constructed by Alpha Construction. Our team of skilled carpenters will reflect your demand for the same quality on the outside of your home as you expect on the inside. Impeccable finishes and attention to detail will elevate your outdoor living space from ho hum to WOW! Let us show you what can be done with your space. Contact us today!